A team from the Police Special Response Unit will be deployed to the Star Printery in Raiwai, Suva this morning to oversee the printing of new ballot papers for the 7852 voters. These voters are from the 23 polling venues that were cancelled by the Fijian Elections Office during the counting of ballot papers yesterday. 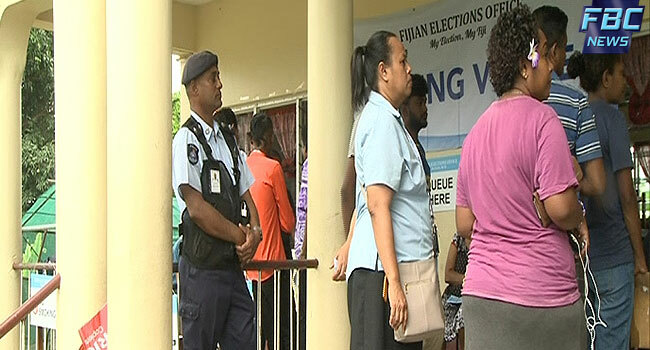 Police Chief of Operations ACP Maretino Qiolevu says officers who were manning the polling venues which were closed yesterday have returned to their units and are on standby for another deployment. ACP Qiolevu says more than one thousand officers were deployed for post-election operation last night and feedback received was that it was generally quiet around the country. ACP Qiolevu says they will continue to be on standby and assist the Fijian Elections Office carry out election in a transparent manner.